What are the basics you need during retirement? What do you want to enjoy during retirement? What income sources are available to pay for expenses during retirement? What retirement assets do you have, or might have down the road, to fund your retirement? 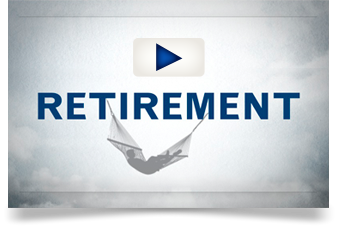 Watch the video below for an introduction to the key components of our approach to helping you evaluate retirement. At the end of the video, take advantage of options to learn more, such as exploring the elements of your retirement picture, or taking a financial inventory. Contact us to take an important first step in your retirement income planning process.